First week of April 2019. Arrive Friday 5 April, four days activity until the 9th, leave evening or stay over till 10th. 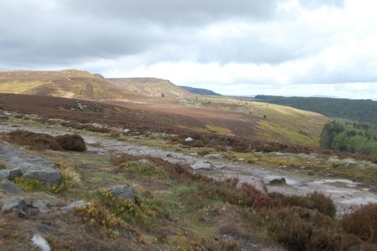 Join a four day pop-up moot to investigate ancient aligned sites in picturesque Coquetdale, centred on the town of Rothbury. Spend each day visiting local sites, led by Pat Toms who has researched the network. To get to sites out of town, the group will walk footpaths, across fields and onto hills. See spectacular settings of standings stones, including a large one with a hole aligned to the solstice sunset. We will use our innate intuitive sense of place to experience the special places. An excursion will be organised to places in the east including the 'fort' at Brinkburn Priory and Warkworth Castle. We will consider whether sites in straight alignments and in serpentine currents were set up as energetic or etheric phenomena, etheric meaning 'of intuitive association with form'; topographical and geological characteristics of sites visited, the standing stones and special places; their similarity to the location of the altar and font in a traditional church. And consider what these places could provide for a community associating ritually with earth and cosmos. Administration fee £5. Contribute fuel costs when car-sharing. Stay in a hostel, B&B's or self catering. 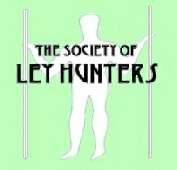 Further details from RothburyMoot@LeyHunters.co.uk or telephone 0141 945 5401.